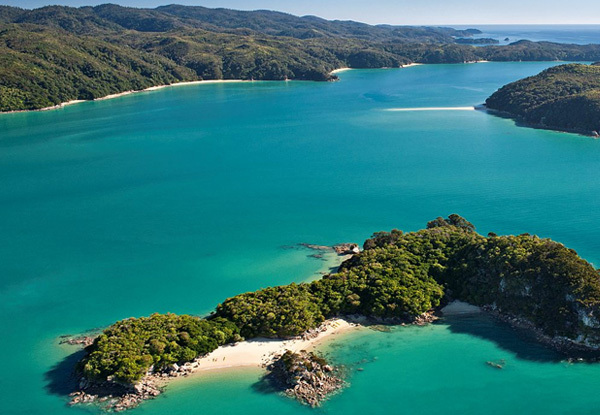 Enjoy a smooth, quiet ride with the best views and room to move around and discover the famed beauty of Abel Tasman National Park. 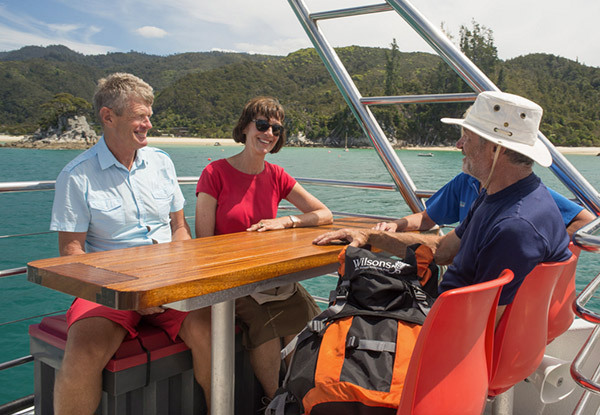 Spend your afternoon cruising in style aboard the Abel Tasman Voyager, savouring open and closed deck areas, with easy bow ramp access and amenities with the friendly crew happy to assist. 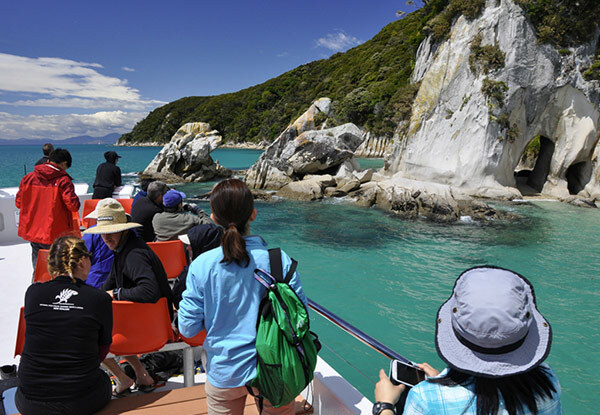 Jump aboard the Abel Tasman Voyager at 4.30pm and pause to get your photographs at famous Split Apple Rock and view seals along the coast. 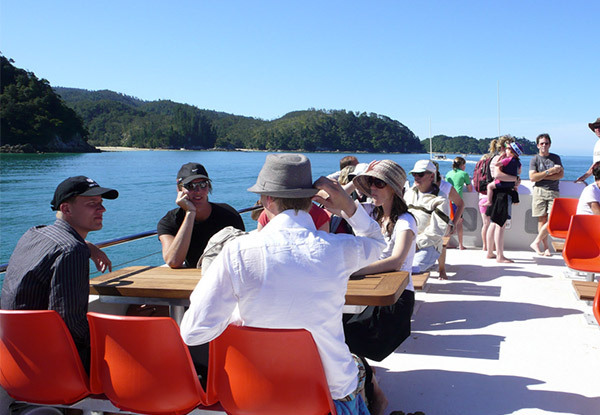 Watch the sunset against a backdrop of the forest, golden beaches and towering granite outcrops as you cruise the sheltered waters of the Astrolabe Roadstead, past Torrent Bay and into Bark Bay. The skipper will also serve up historical anecdotes and facts to keep you informed and engaged. Perfect for the whole family, escape the everyday ordinary and experience the true beauty of New Zealand. This afternoon cruise takes in all the wonderful scenic sights along the shoreline, where you can discover stunning golden sand beaches with beautiful coastal surrounds. 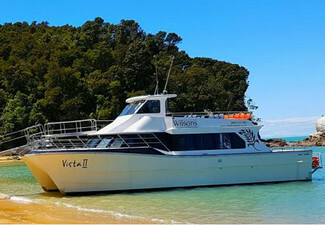 Grab an Abel Tasman National Park Vista happy hour cruise for one adult including one complimentary child ticket for $43 from Wilsons Abel Tasman National Park. 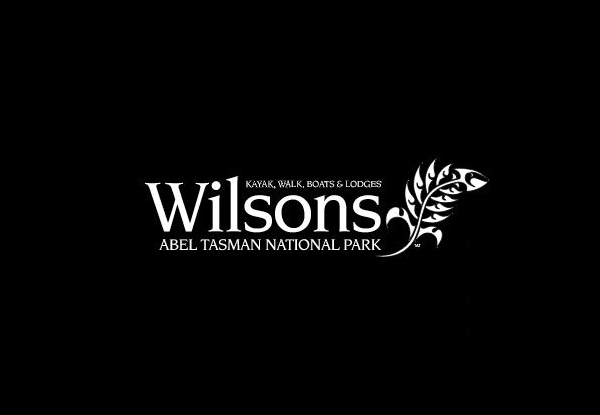 The Wilsons Abel Tasman Cruise takes in all the wonderful scenic sights along the shoreline - everywhere you look there are attention-grabbing views. 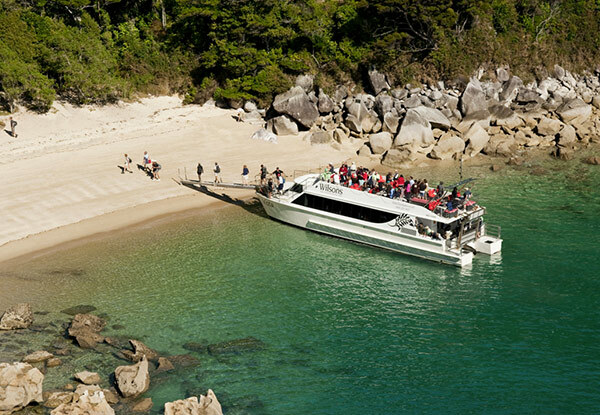 Travelling on the Abel Tasman Voyager, you'll be doing it in style and comfort. State of the art, it is specially designed for the needs of passengers. 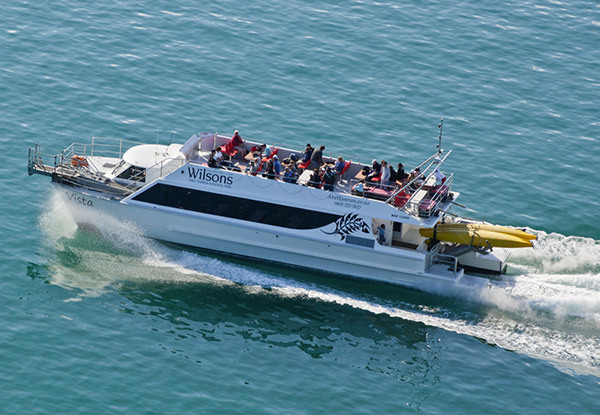 Book and you can jump on board a 4.30pm afternoon cruise any day of the week, cruising the coast from Kaiteriteri to the Bark Bay or Medlands Beach and return. Extra tickets may be purchased on the day at full price, subject to availability, for late additions to your outing. Bookings essential and recommended to be made as soon as possible to avoid disappointment. Valid any day of the week at 4.30pm only. 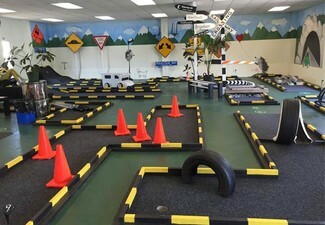 Valid for one adult and includes one complimentary child ticket. A child is 14 yrs and under. Bookings essential. 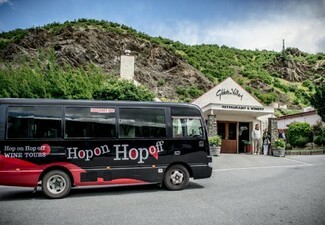 Travel subject to availability of seats when booking. Please arrive 30 minutes prior to departure time. Departing Kaiteriteri and returning at 6.00pm. Extra tickets may be purchased on the day at full price. Must be used in 1 visit. No refunds unless required by law. No cashback. Not to be used with any other offer. Day Trip Check In: Wilsons Abel Tasman Kaiteriteri ticket office 1 Kaiteriteri-Sandy Bay Road, Kaiteriteri (or at their Motueka office, 409 High Street Motueka on the way to Kaiteriteri from Nelson) At Kaiteriteri: Park in the main car park across the road from the beach. Check In: If you need to pick up your tickets or make a change to your booking, walk towards the Shoreline Cafe and look for the Sea Fern logo on their ticket booth (located in the new courtyard between the Cafe and the Kaiteriteri Store). If you already have your tickets, look for their boat along the beach and check-in with the boat crew.